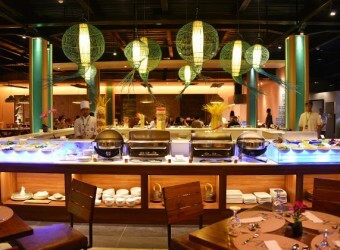 Bali Restaurant complex facility Banjar located at central Kuta area. You can easy to access popular shopping mall and area. Abians restaurant attached Banjar and they offer many kind of Indonesian meal. Its buffet style so you can have as much as you want! Some of meal serve by chef that they cook in front of you such as fried noodle and teppanyaki. You can also have dessert too!